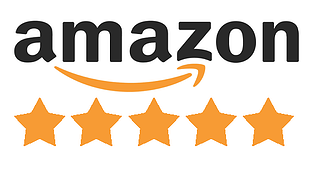 What impact will Amazon's ban on incentivized reviews have on the marketplace? Takeaway: Amazon tightened the controls on incentivized reviews on its site. While the move is certain to improve authenticity and consumer trust, it may also impact brands who are late to market and the third-party seller industry. Here’s some advice on how it could impact your go-to-market strategy. On October 3, Amazon updated its community guidelines to prohibit the use of incentivized reviews in most cases. Its community guidelines have always banned direct compensation for reviews, however reviewers could post a review in exchange for a free or discounted product as long as they disclosed that fact in the review. The latest guidelines stipulate that the incentivized reviews can only be shared through the Amazon Vine program, which has controls in place to limit attempts to influence the content of reviews and the number of reviews displayed, or in the books category, where there is a tradition of providing advance review copies of books. “Customer reviews are one of the most valuable tools we offer customers for making informed purchase decisions, and we work hard to make sure they are doing their job,” explained Amazon in its initial announcement. Similarly, Salsify consumer research found 82 percent of consumers say they want to see at least 3 reviews when they are considering a purchase. Clearly, access to reviews are a critical part of a shopper’s decision making process. But the change has negative implications for brand manufacturers who are coming later to the market or who have traditionally relied on incentivized reviews. Consumer Trust: Incentivized reviews were proven to be biased with higher ratings than traditional organic reviews. By eliminating this bias from product reviews, customers automatically get more authentic advice and opinions on products. This eliminates some of the need to read through a lot of the reviews to determine if the product is actually a quality product or not. Adjusted Review Averages: As of October 3rd, many products have had incentivized reviews deleted or stripped from their detail pages. Most cases have either eliminated reviews that were overwhelmingly incentivized, or eliminated reviews that drastically skewed the review average. Products could have been showing a 4.5 or higher rating in September and now are showing a 2.5 or 3-star rating. First Mover Advantage: Legacy products and first movers will have an easier time maintaining a competitive advantage. The longer a product is listed and the more organic reviews that a product receives, the better off it is to withstand competition. Now it will be really challenging for new products to launch and look like legacy products within a month or two by having hundreds or thousands of incentivized reviews driven to their detail pages. Harder to Game the System: Leveraging biased reviews and Super URL purchases to influence search rankings will be much harder to accomplish. While brands are still allowed to offer discounted or free product, they can no longer stipulate that it be tied to a review. Launch New Products: It will be much harder to launch new products on Amazon for those who were used to having the help of incentivized reviews. Incentivized reviews were also used to drive the initial sales of a product which would positively influence search rankings, vendor POs and product conversion. 3P sellers and private label brands will have a harder time getting people to trial their products and stand out from the competition. Catching Up: Sellers and vendors won’t be able to drive as many reviews to new products to “catch-up” to legacy competitive products on the marketplace. In the past, it was best in class to match the number of reviews of the competition. 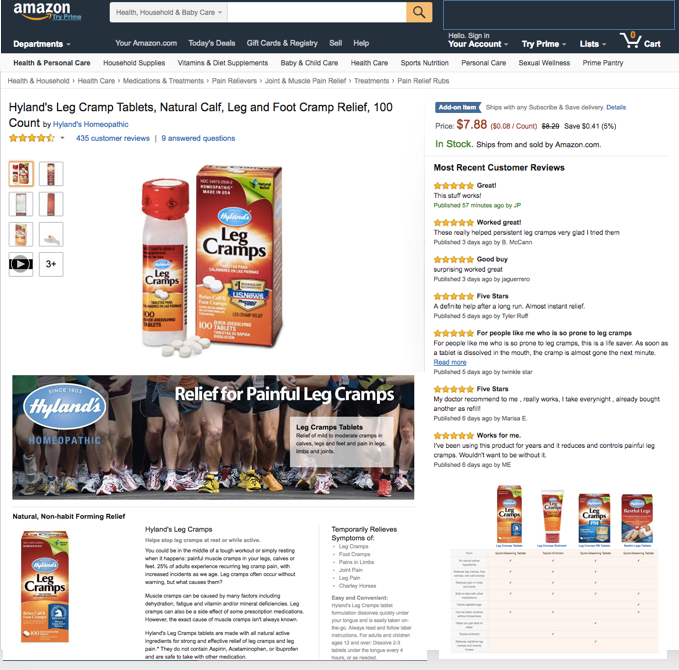 Now it will be much more challenging to drive organic reviews to meet legacy competitive products on Amazon. More Expensive: Reviews just became a lot more expensive. Sellers could drive hundreds or even thousands of reviews to products at a minimal cost. Now they will be pushed to participate in Amazon Vine which currently is much more expensive and limited to a low number of incentivized reviews. Category Challenges: Some categories, such as sexual wellbeing, are not allowed on Amazon Vine’s program. These categories will have a much harder time getting reviews on products and will be at a disadvantage to products in which have already launched and have a well-established base of reviews. Amazon’s policy change impacts review generation agencies, third party sellers, reviewers, as well as direct 1P sellers. Companies who have built an ecosystem around incentivized reviews will be hit the hardest. ILoveToReview.com AMZReviewTrader.com, and SnagShout, to name a few have spent a lot of dedicated time and effort in gathering a network of reviewers to drive incentivized reviews on Amazon. Most of these companies are already in the process of transitioning to a deal trading platform. Though these deal trading platforms still drive incentivized purchases, they are no longer requiring reviews be left on products. Many of the companies have stated that customers are still welcome to leave reviews, and if one chooses to leave a review, they don’t have to leave a disclaimer in their review. It’s uncertain how or if Amazon will react or challenge these sites or sellers who participate. Third-party (3P) sellers who are creating their own private label brands on Amazon will have a challenging time figuring out how to launch and become relevant on Amazon in a highly competitive industry. Reviewers who have signed up to be a part of the incentivized review communities will also be effected by no longer being able to trial and share their opinion on free products. Most first-party 1P vendors will see a positive effect on their brands as it will now be much more challenging for private label to compete or go to market. However, there are a few 1P vendors who had been using promo codes or Amazon’s giveaway program to generate reviews and drive conversion for their products. Possible boost through Early Reviewer Program. Amazon published a new program that “encourages customers who have already purchased a product to share their authentic experience about that product, regardless of whether it is a 1-star or 5-star review.” They offer a small reward $1-$3 Amazon credit for helping future shoppers. Sellers cannot influence these reviews or reviewers participating in the program. If Amazon follows up with this program and it starts to run, we could see a small boost in the amount of initial reviews on products that are eligible for the program. Distinguish yourself with Amazon Vine. Amazon Vine will become more of a crucial asset to set 1P Vendors apart from the 3P sellers. Vine is now the only incentivized review program in town. For now, you have to have a vendor central or vendor express account setup with Amazon in order to participate in the Vine program. Amazon has hinted at some future changes with the Amazon Vine program, but for now no news has been released as to what these changes may be. Drive organic reviews. Amazon never said it’s against the rules to tell people or ask people to review your products. You should be asking people for their opinions and reviews of your products on your website, in social media, and in your marketing campaigns. If you are a seller, you can email your customers on Amazon and ask them to leave a review of your product as well as seller feedback. Know what some scrappy 3P sellers may try. There are 3P sellers who are shifting too much scrappier ways to drive reviews even though it is against Amazon’s policy terms. One such process I have heard about includes building review clubs and using visa gift cards to incentivize reviewers to buy the product at full cost on Amazon and leave a review. While the process is costlier, those who take advantage will drive Verified Purchase reviews to their product pages. However, if Amazon catches on, or if any of the reviewers in the club report the seller, they can have their account suspended or potentially banned. I personally do not recommend doing this, though it is good to have an understanding of what some of the scrappy 3P sellers may be doing to try and get a leg up. The change to Amazon’s review policy puts a stronger emphasis on authentic reviews and limits the options for late-to-market or third-party sellers looking for quick wins in getting incentivized reviews. A month into the change, we’ve yet to see all the implications for brand manufacturers, but it’s important to keep an eye on the new programs and valid options Amazon is offering its seller community to continue to provide reviews for shoppers. For more commentary on how to harness the power of customer reviews, see Salsify’s earlier series of blog posts on the topic.